I was cruising through blog land and came across this post by lovely miss Zara of Zaranne handmade... I have a small stash of woolly blankets ready to cut into so I grabbed some out and started playing. I have made a few of these, so far none of them fit, but it is fun trying! These are a size 2 and Zav is turning 4 in September. Time to get her rugged up again! I am thinking jacket and matching snuggly hat with bear ears. If you know of any great patterns please let me know. 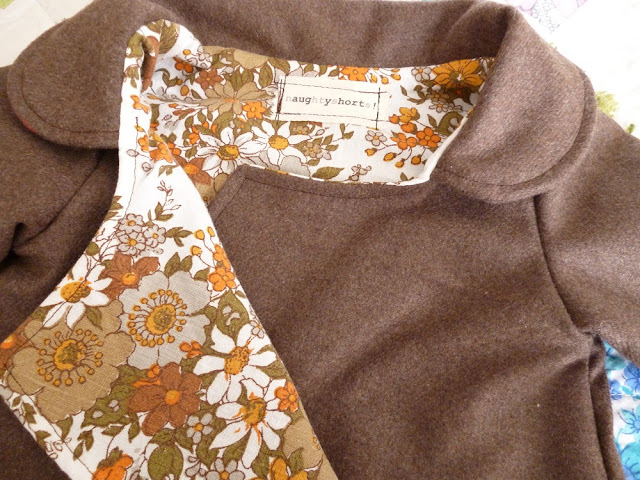 Oh wow, that brown jacket with the amazing lining is the best. Id wear it if it fit! Oh thank you lovely lady. I've had to do a bit of altering with the pattern too- making the curved side start from closer to the bottom edge. 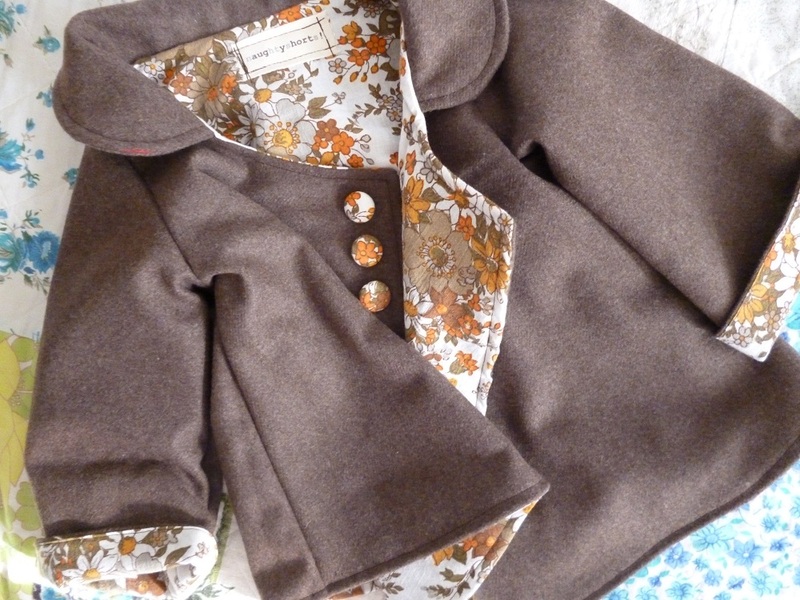 Oh my goodness if that little brown jacket was in a big girl size I would so want one........totally in love with it. The little blankie ear hats are so cute. Love these jackets! I may have to make one for my 4 yo this fall. Very cute jackets! Have you tried http://www.peekaboopatternshop.com/ ? Where did you get your coat pattern from? I have a beautiful old blanket dying to be made into a winter coat for miss 3. Will those of us not able to purchase from your caravan get a chance to purchase your fabric bundles online somehow? They look awesome! healthy brownie recipe - baking with black beans!